Guardians of the Galaxy Vol. 2! Whoo! Most obviously, the first Guardians movie is regarded by many, including myself, to be one of, if not the, greatest Marvel works and comic book movies ever, and Vol. 2 is a step up. It doesn’t feel “better than the first” so much as it feels like the natural progression upwards that comes when telling a single good story. We’ve already met and gotten to know these characters, and now we are delving into their depths and seeing them progress and grow. That is one fair criticism of Guardians: the characters, hero and villain alike, can feel just a little bit shallow as we’re still meeting them even as they rush headlong into a climactic confrontation. I can’t count the number of times I’ve heard someone criticize Ronan as a sub-par villain, and while I disagree with that, I can see where they’re coming from: we see the surface of Ronan, but little of what lies beneath, where he comes from, how his mind works. The same applies to the Guardians, especially Gamora, and Nebula as well. In Vol. 2, we see what’s beneath the surface. The story is driven by the characters and the characters are driven by their relationships with each other. 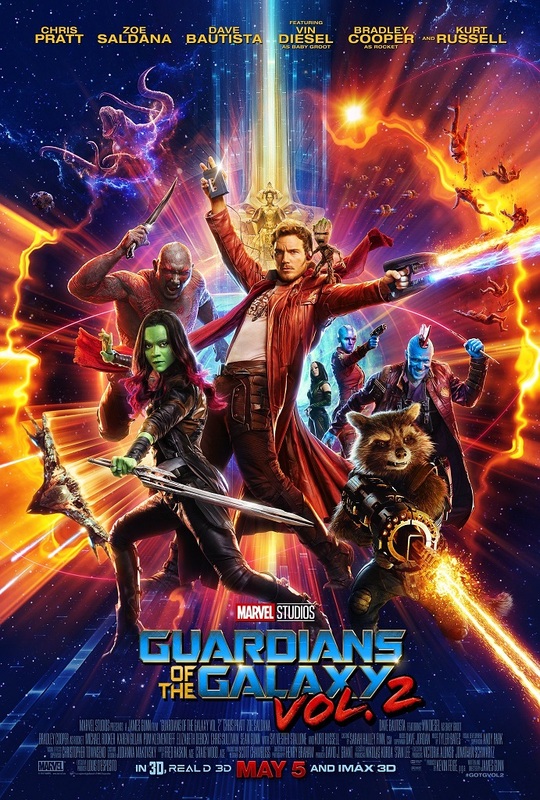 Peter’s childhood ordeals are resurrected and brought to a head when he is found by his father; Gamora’s sisterly connection to Nebula evolves; Rocket’s attitude tests the bonds between him and his comrades because he has issues; Drax forms a surprising friendship as he continues to live with what he’s lost. And that’s just the Guardians themselves. The breakout role belongs to none other than Yondu, the Ravager captain who kidnapped and raised Peter Quill. We see who he is as much as any of the Guardians. We see how he once belonged to a much greater organization, but he dishonored himself long ago, a decision which finally bears the bitterest of fruits. We see him at his lowest, at his highest, at his kindest, at his most ruthless and dangerous, and at his best. We see his journey towards redemption, and it is founded on the bond he formed with the boy he raised. Which also goes into the character of Peter’s biological father. There’s a tremendous amount to say there, but it goes into some very severe spoilers, so I shall skip that part. 😉 Suffice to say, Peter’s father is a massive upgrade in villainy from Ronan the Accuser. All the worse for Peter, having something he’s dearly wanted dangled right in front of him, only to find it worse than he could have ever possibly imagined. Even the themes of Guardians are given greater depth in Vol. 2. The first showed the Guardians as victims of an interstellar system of cruelty and apathy. The second movie delves into the source of that darkness, and it ranges from the cosmic to the mundane. There are all-powerful beings of madness, trying to force their self-imposed destiny on the universe. There is the petty, heartless malice of greedy savages, the sort who take joy in the suffering and deaths of others. And there are entire civilizations built on the singular notion of standing above others, a notion which is directly at odds with the free spirit of the Guardians. Mixed in with all of this is excellent action, thrilling suspense, a lot of wit and humor, and a single, overriding theme. The ending of the movie, for all its emotional impact, might feel a little drawn out to some people, as most superhero films end things rather quickly and simply after the climax, but it fits. Sure, there’s a lot of action and a powerful enemy and all that, but that’s what happens, not what the movie is about. The movie is about family. What family is. What family does. What family means. The ending, with all its moving parts, is perfect for this. Guardians of the Galaxy Vol. 2 is all around a fun, fantastic movie with a surprising emotional potency, though perhaps a touch dark for the younger members of the audience. Rating: I give Vol. 2 a solid 10 stars out of 10. This entry was posted in Movies, Tuesday Review and tagged Guardians of the Galaxy, Guardians of the Galaxy 2, Marvel Cinematic Universe. Bookmark the permalink. 3 Responses to Guardians of the Galaxy Vol. 2! Whoo!